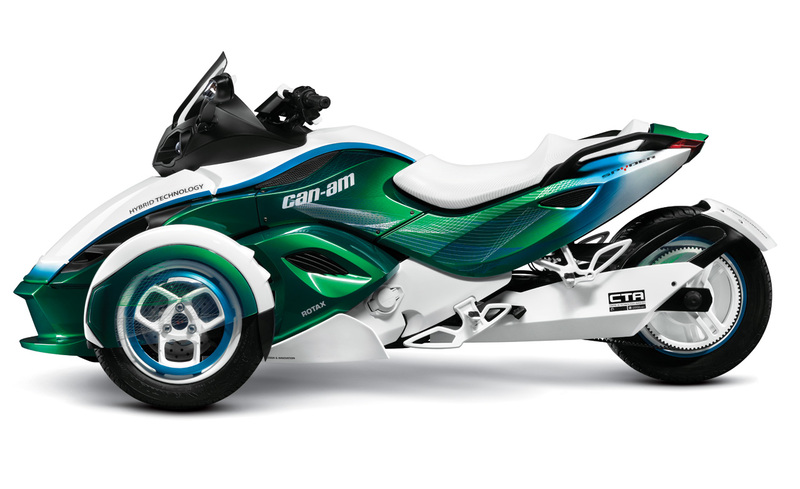 The Canucks are getting into the hybrid scene, as news from up north reveals that BRP, with help from the Canadian government, will develop a hybrid model of its Can-Am Spyder three-wheeler. Working alongside the Université de Sherbrooke, BRP is investing $5.1 million CAD ($5 million USD) into the school’s Centre de Technologies Avancees (CTA), while the Canadian government’s Automotive Partnership Canada program is matching funds to the tune of $6.2 million CAD ($6.1 million USD). BRP and the researchers at Université de Sherbrooke will be building a ground-up hybrid system, since apparently the systems currently available for cars have proven to be inadequate for the confines of motorcycles and trikes. We guess they missed the product releases from MotoCzsyz (D1g1tal Dr1ve D1) and Mission Motors (MissionEVT), both of whom have developed their drive trains from electric motorcycles. More info after the jump, along with an obnoxiously French-Canadian video. 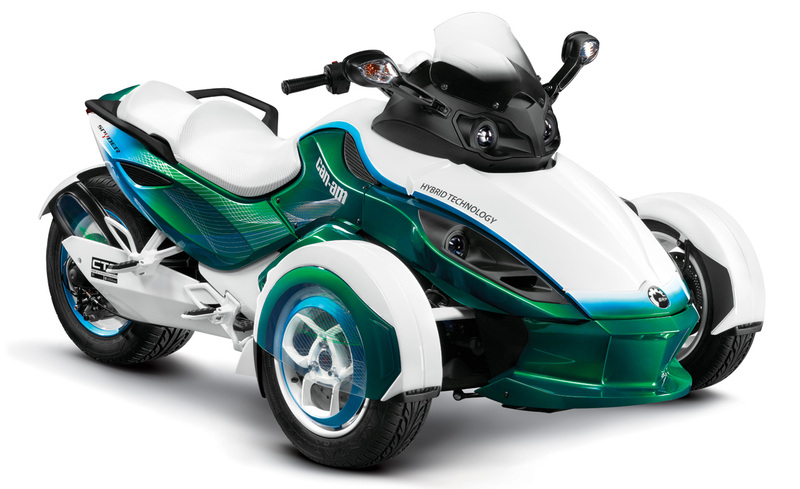 It’s not clear what sort of price increases the hybrid technology will bring to the three-wheeler, but BRP is saying it wants the hybrid model to match the performance of the gasoline-powered Spyder, while being more energy efficient. Judging from the fact that BRP is just now undertaking this project, we don’t expect to see a hybrid Can-Am model until a couple more years down the line, and BRP is suggesting that a four-year timetable will likely govern the development of the technology and its utilization in the Spyder line, and possibly other BRP products.